We've previously noted the successes of the Santa Monica approach to leasing dark fiber, but a new article reveals that Los Angeles, Burbank, and Anaheim also lease city-owned fiber assets. In fact, Burbank generates substantial net income for its general fund through leases, including to major Hollywood studios. Burbank first laid its fiber in the late 1980s and began leasing in the mid 1990s, said Robert DeLeon, a senior electrical services planner in Burbank. It currently leases to 15 studios, such as Warner Brothers and Disney, or studio-related businesses, like post-production companies. Like Santa Monica, Burbank's main goal in leasing its dark fiber was to attract business. But at $200 per strand per mile, Burbank is currently making approximately $1 million that is being put back into the general fund. 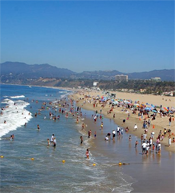 Santa Monica's revenues from leases have been more modest, but the benefits of leasing go far beyond regular payments. The network increases economic development and improves the quality of life with free Wi-Fi in a variety of public areas. Further, the city no longer has to overpay for the data connections it needs for municipal functions. Santa Monica is also leasing to 15 businesses that include hospitals, entertainment companies and new media outlets, among others, but is only making $270,000. It was never Santa Monica's intention for the leasing of dark fiber to be a major source of revenue, Wolf said. Though there are other options for obtaining a fiber optic connection, such as AT&T, Kacperski said the hospital decided to lease from City Hall because hospitals are community based and because City Hall has better customer service than private carriers. As we have often maintained, locally owned networks win on customer service (and often reliability). Community networks may not always win on prices because massive incumbents can engage in predatory pricing by cross-subsidizing from non-competitive markets, but they can win on providing a better experience for subscribers. Moving forward, Santa Monica is starting to go beyond simply leasing dark fiber to actually providing lit services to businesses who would prefer not to manage their connections.